2. How to create HOME screen shortcut? Step 2) "Long-press" on any entry item. 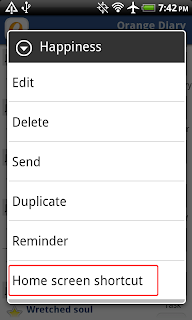 This will open a Context menu with "Home screen shortcut" option. 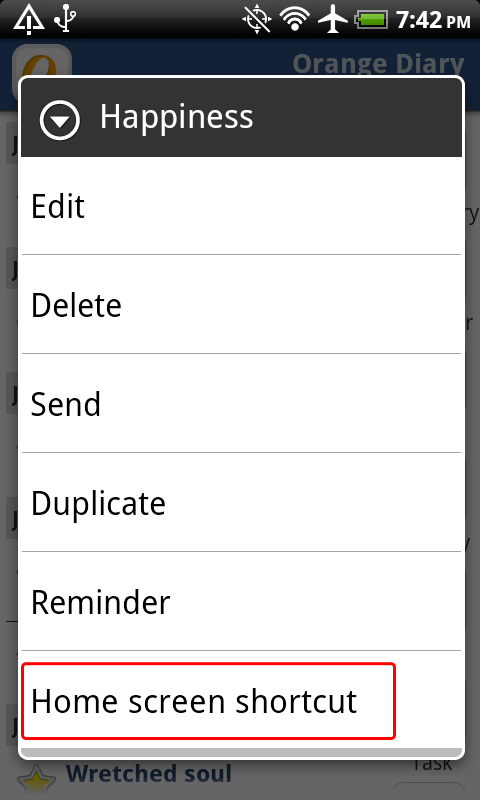 Step 3) Please select the "Home screen shortcut" option. Step 4) Go to HOME screen and check if you have the shortcut created for the selected note.